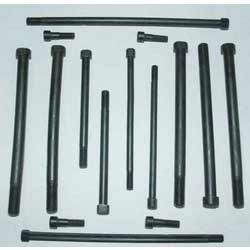 Prominent & Leading Exporter from Ludhiana, we offer center bolts, t bolts, u bolts, metal bolt, hub bolts and rectangular head bolts. We offer Center Bolts which are widely acclaimed for the robust construction and provide excellent performance. The center bolt features are durability, resistance to corrosion and service life. 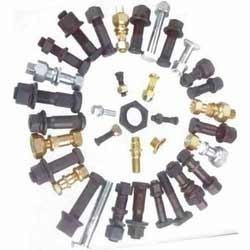 These center bolts can be modified as per our requirements of the customers. These center bolts are manufactured using latest technology and easily fitted to any vehicles. These bolts are also available at cost effective pricing. We provide an exclusive range of T Bolts, which are highly acclaimed for its durability, abrasion resistance and low maintenance cost features. 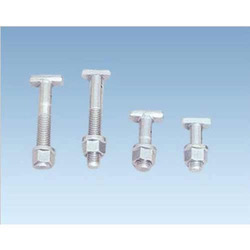 These bolts are manufactured using premium grade raw material as per the international quality standards and are known for their high performance, sturdy construction and long service life. These T- bolts are available in all sizes with different grades and material. 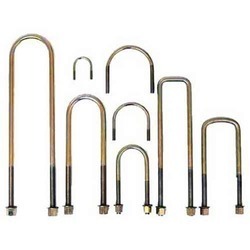 We offer these bolts at suitable prices to meet the budget of the clients. These U Bolts are easy to fit and available in various sizes. These bolts are very hard and free from rust. 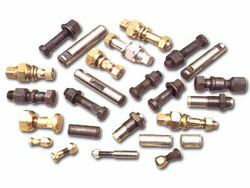 We manufacture these bolts and export at economical range. 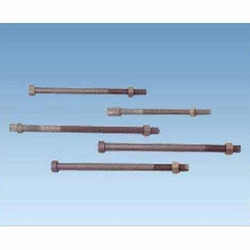 These bolts are used in different industrial applications. We offer wide collection of bolts known for their features like strong construction, functionality, durability and longer life service. We completely ensure and check before offering sending to the clients. Our expertise helps us to manufacture and export qualitative range of Metal Bolt For Special Applications. These products have their applications in garages and in various automobile, construction and agriculture industries. 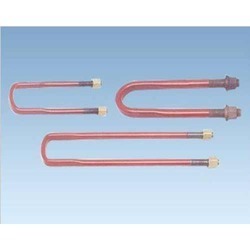 These are fabricated using qualitative raw materials like mild steel and alloy steel. Our range of bolts is known for its high tensile strength, dimensional accuracy, tear and wear resistivity, and many other attributes. We offer the range at industry leading prices.